Aspartame, found in diet soda, chewing gum, and even some brands of yogurt, is deceitfully disguised as Nutrasweet, Equal, and Sweet n’ Low. Aspartame is a poison that has been found to actually increase weight gain and have many other devastating effects on the body. Diet soda seems at first like a health-conscious beverage choice, until you look at what science has shown us about aspartame. Although diet soda is calorie-free, studies have shown that it will actually make you gain weight. In a study at the University of Texas that compared diet soda drinkers to non-drinkers over the course of a decade, and researchers found a 70 percent increase in waist circumference in the diet soda drinkers. 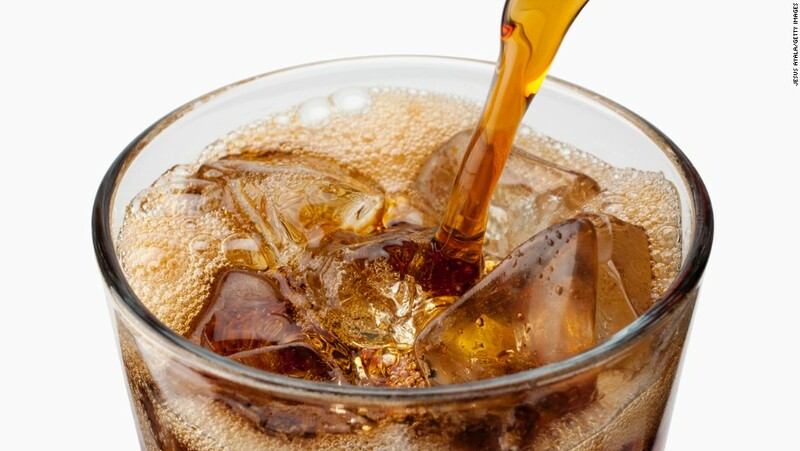 Furthermore, participants who washed down two or more diet sodas a day experienced a 500 percent increase! A 2009 study from the University of Minnesota found that drinking just one diet soda per day was associated with a 36% increased risk of metabolic syndrome and diabetes. That explanation is in my estimation insufficient to explain the magnitude of this finding. There is likely no disease or condition that can occur in the body without a damaged metabolism. Metabolism is the body’s ability to produce energy, and with a healthy metabolism and sufficient energy production, it can perform all of it’s tasks required for cell maintenance, regeneration and optimal function. When you drink a diet soda, you may not be ingesting any calories, but aspartame is a poison, not a nutrient. Coffee, milk, fresh juice, clean water, even a Mexican coke, made with cane sugar (as opposed to corn syrup) is far superior to any kind of diet beverage. The carbonation is a nutrient as well, helping to deliver oxygen and protect the gut from endotoxic bacteria. A 1994 study on aspartame found that consuming aspartame gave many people headaches. “It appears that some people are particularly susceptible to headaches caused by aspartame,” concluded the study authors. In a three-person case study published in the March/April 2013 issue of the journal General Dentistry, Dr. Mohamed Bassiouny studied the teeth of a cocaine-user, a methamphetamine-user, and a habitual diet-soda drinker, and found the same level of dental erosion among all three. Mixing alcohol with diet soda increases the effect of alcohol, making you drunk more quickly than with sugar-sweetened beverages, the following study has found. Using diet soda as a low-calorie cocktail mixer has the dangerous effect of getting you drunk faster than sugar-sweetened beverages. This finding was published in the journal Alcoholism: Clinical & Experimental Research (ACER), where researchers at Northern Kentucky University found that drinking diet soda with liquor causes a quicker rise in breath alcohol concentration (BrAC) than if the exact same amount of alcohol was consumed with regular soda instead. The study found that levels of breath alcohol concentration were 18% higher in those who drank alcohol with diet soda. Unlike the poison known as aspartame, coffee (more specifically, caffeine) acts like a nutrient, boosting the body’s metabolism, and the ability of every cell to produce energy. It is said that women over 60 are at a greater risk for osteoporosis than men. This is likely due to estrogen existing in the body unopposed by progesterone. In a study performed at Tufts University, researchers found that females who drank soda, including diet soda, had nearly 4 percent less bone mineral density in their hips than women who didn’t drink soda at all. Another study, this one published in 2006 in the American Journal of Clinical Nutrition had similar findings, that cola intake was associated with low bone-mineral density in women. As of 2012, we now have evidence that drinking diet soda damages your heart and increases your risk for having a heart attack. One more time: Heart attacks can kill you, and drinking diet soda increases your chance of a heart attack. Stated even more clearly, diet soda increases your chance of dying. It’s not even a stretch to say that aspartame slowly kills you. Is it worth it? The study was done by researchers at the University of Miami and Columbia University, and found that diet soda drinkers were 43 percent more likely to have experienced a heart attack, or “vascular event”, than those who drank none. Meanwhile people who drank regular sodas did not appear to have an increased risk of heart attacks. It’s game over for aspartame. Throw out your diet sodas, aspartame-ridden gum and yogurt, and don’t buy or drink anything with aspartame in it again.